large enough to provide complete travel services at competitive rates. Interactive Maps of Bali Diving. Dive Sites, Trips & Hotels. Why Choose to Dive with AquaMarine? Attention to detail is a hallmark of the AquaMarine experience. From your initial planning together with our Bali office Dive Travel Professionals to your fun diving day with our PADI Certified Divemasters and Instructors, you receive professional, friendly, expert service. The level to which AMD-B customises trips is absolutely unique in Bali. The focus at AquaMarine is to provide both high quality service and the best possible diving for guests, offering programmes to suit each diver’s interests, experience and preferences. You will find suggested itineraries on our website to be used as a starting point for your holiday plans. Our divemasters are professionals, all Indonesian, who chose diving as a career. Over 70% are PADI instructors. Many have worked for us for over 10 years and often train dive guides for other companies. Expect your dive package holiday, or day of diving, to be well-organised and safe, and well as beautiful and fun! Indonesia’s diving is among the best in the world. 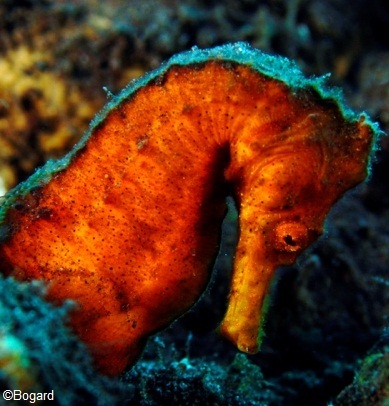 Diving in Bali is an easy and inexpensive way to see the best of Indonesia. Often overlooked by divers headed elsewhere in Indonesia, Bali SCUBA diving is special in its own right. Either as an add-on to an Indonesia diving trip or as a complete and inexpensive dive vacation with the added benefits of Bali’s unique culture and shopping for the creations of Bali’s many artists. AquaMarine Diving – Bali operates One Day and Multi-Day Bali Diving Safaris (Dive Packages) throughout our island. Custom dive trips are our speciality. Dive Tulamben Bay for the 120m USAT Liberty Wreck Dive and superb macro underwater photography. Visit Secret Bay for weird muck diving critters. 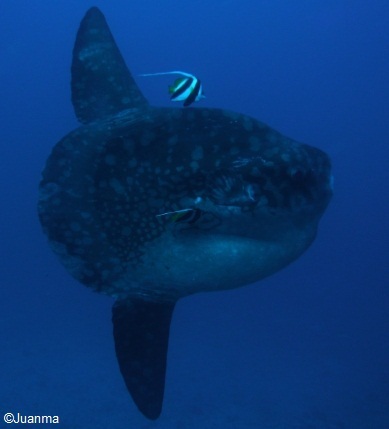 Plan to dive Nusa Penida for Mola Mola (in season), sharks and Manta rays. Or combine all these into a customised Bali Diving Safari (Bali Dive Package with accommodation). Your customised Holiday Dive Package can include resorts & hotels that suit from luxury to budget tastes. AquaMarine works directly with many of Bali’s best hotels and resorts to build your unique itinerary. We’ve provided sample Bali Diving Holiday and Dive Safari itineraries to help you plan your trip in Bali. Contact our Dive Travel Consultants to organise your custom holiday package including the hotels, dive sites, and other activities you love. Bali diving is wonderful but our island is not the only place in Indonesia with phenomenal diving. To ensure we provide a complete service for our clients we are an agent for other reputable dive resorts and liveaboards throughout Indonesia including but not limited to Komodo, Raja Ampat, Wakatobi and Lembeh Strait/Bunaken. Whether you are a member of a dive club or a group of friends travelling together, AquaMarine will develop a programme to suit all members of your group irrespective of age, experience, needs, divers and/or non-divers. Several of our Dive Travel Consultants specialise in looking after enquiries/bookings for 5+ guests. By letting us know your ‘Wish list’ and if your group has any special requests, AquaMarine can build the ideal package for your group to dive in Bali. For example, if you’re a photography group, we will assign you our best spotters; and groups of school children will be taught by instructors experienced in working with young people. We have taught PADI courses to school groups from Bali and overseas; hosted workshops; and organised Day Trips, PADI courses and Dive Safaris for women-only groups. As an agent you have the surety of dealing with a long established, well respected dive operator offering outstanding services. You can have confidence in the support we offer to you as an agent and for your clients during their stay in Indonesia. We aim to answer your queries within 24 hours. At AquaMarine we will tailor an itinerary for each enquiry you send us or we can customise exclusive packages for individual travel agents so you can target your market precisely. Packages may include accommodation, diving, transfers, domestic flights, land tours and other activities.